Armed with data integration software, enterprises can make sense of the data, through analytics and statistics, and make better business decisions. Wondering how exactly beneficial data integration software could be? Let’s look a simple example. For instance, if you’re a tech-savvy marketer, data integration software allows you to pull together large volumes of data from marketing operations software, sales system, web traffic, CRM platform, and customer success system (just to name a few). It saves you time and minimises errors in logging in and out multiple systems to manually put together and analyse all the data. It enhances collaboration across various departments. And above all, a unified view of data offers you valuable insights you can instantly act on and deliver results. With these benefits in mind, let’s look at our top 10 data integration software and find out which suits your needs. Zapier is a data integration and automation software that allows users to integrate web applications (thereby, data), automate workflows, and get more works done. Users can integrate more than 1,000 web apps such as Google Docs, Slack, and Quickbooks and seamlessly move and share information and data across apps. Note: Using Mopinion webhooks you can integrate Mopinion user feedback data with Zapier here . If This Then That (or IFTTT) is a free, web-based application that enables users to create automation chains between other applications and web services such as Gmail, Facebook and Google Drive. Each automation series is referred to as an applet, which performs a specific chain of events within your apps. 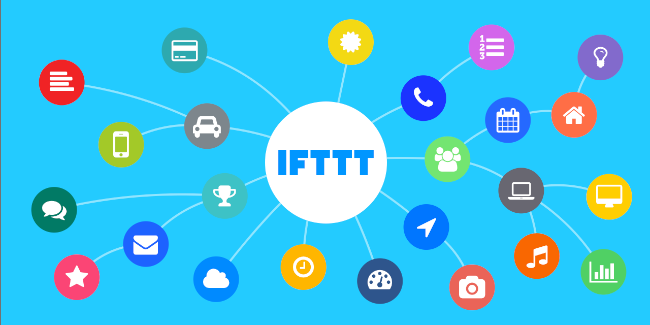 There are currently around 54 million IFTTT applets that can be used to connect multiple apps with automated tasks. 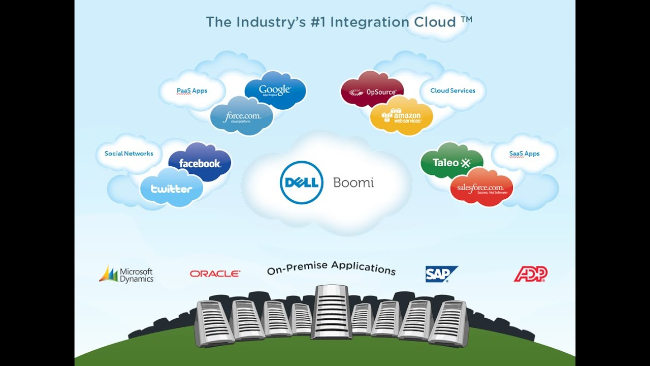 Dell Boomi is an on-demand cloud-based and on-premise data integration software. This software uses a graphical interface with minimal coding that let users configure and automate application, B2B, and data integrations. Users can connect applications and services such as NetSuite, Workday, SAP, Microsoft Dynamics GP and many more. Its hefty price tag per month is its major setback. Pricing: Free package, but also several additional packages such as Startup ($25/month) and all the way up to Enterprise ($199/month). Talend Open Studio for Data Integration is an open source, free data integration software that lets users easily aggregate, map, sort data in a user-friendly interface. Besides, this software is useful and effective for Extract, Transform, Load projects. Suitable for small and medium size enterprises, its major advantage is no cost and open source. 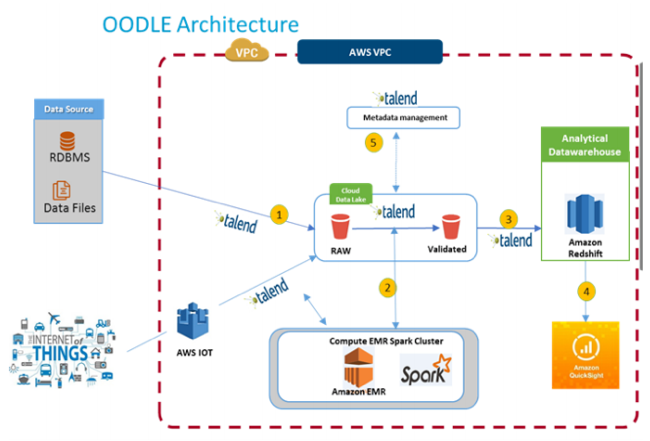 The downside of this software is that its features are limited and only offers self-service support, as compared to the Talend Data Management Platform. Integromat, also known as the ‘glue of the internet’ is a powerful data integration tool with unique features for automation. 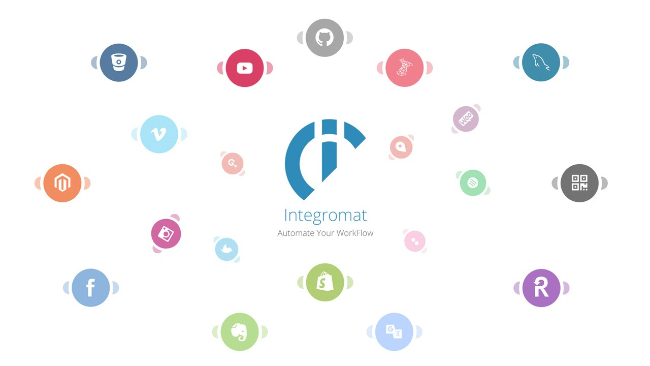 The Integromat integration builder has a drag-and-drop interface that lets users integrate apps without any coding skills required. It offers integrations with the most popular apps such as Google Drive, Facebook, Twitter, Slack and more. Choose between the pre-made integrations or create your own by using the HTTP/SOAP or JSON modules. Pricing: Integromat offers both a free and paid versions (starting from $9/month up to $299/month). HVR Software is designed for enterprise-level data integration that can process large volumes of data with minimal impact on database. It offers real-time analytics and data update with support for real-time cloud data integrations as well. Users can also efficiently move high volumes of data both on-premise and cloud. One of its downsides is that it primarily suitable for large enterprise. SnapLogic offers an AI-powered data integration software known as the SnapLogic Intelligent Integration Platform. The platform connects IT departments with other lines of business so that people can make strategic decision based on fast, accurate data. It comes with a tool that lets users set up integrations visually without coding. 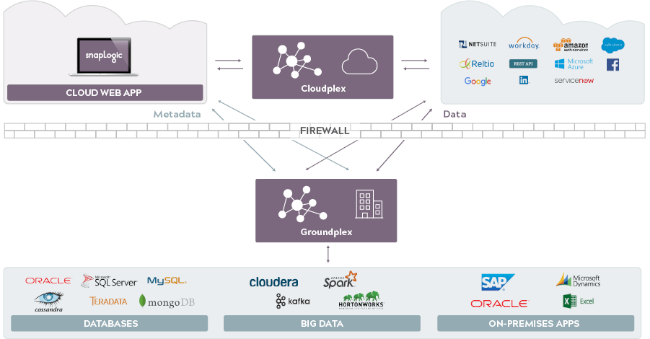 This powerful software supports cloud-based and big data integrations too. However, it’s may be expensive to scale in the long term, depending on your use cases. Attunity Connect is an easy-to-use data integration software that accommodates a wide range of data sources. It provides real-time and seamless connectivity and integration with web applications. Besides, this software features data-driven event detection and allows enterprises to build a service-oriented architecture. One of the setbacks of Attunity Connect is that the tool doesn’t have a drag and drop feature like other software do. 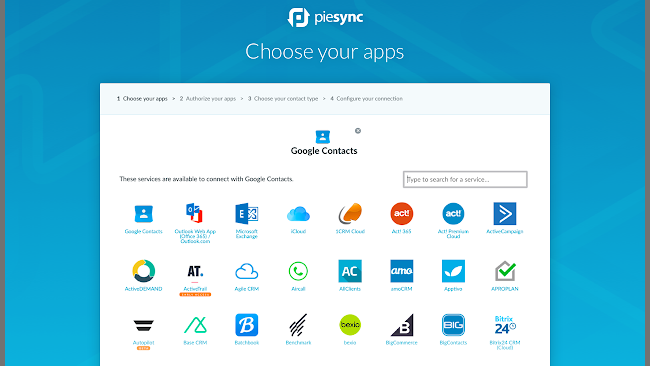 PieSync is a great data integration tool for those looking to sync their contacts with other applications. How it works is PieSync works in the background, syncing your contacts in real-time with all your favorite marketing apps. Some popular tools you can connect with include MailChimp, Hubspot, Nimble, Salesforce and more. Pricing: Ranges from $9/month (starter) to $99/month (enterprise). That was our overview of the top 10 data integration software that will help you save time, minimise errors, improve collaboration, and deliver great results. As you can see there are many different types of data integration software for different use cases and enterprise sizes, be sure to conduct research before you simply settle on a particular software. Already using our feedback analytics software? Now you can connect integrate this data with Zapier (using Mopinion webhooks) and relay all of your feedback data to your favorite apps in real-time. Learn more about connecting your Mopinion account to Zapier here.